Professor Ryan is currently not accepting students. Richard Ryan is a clinical faculty member. He is co-developer (with Edward Deci) of Self-Determination Theory (SDT), an internationally researched theory of human motivation, personality development, and well-being. Ryan has published over 250 research articles, chapters, and books on SDT, and given addresses in over 80 universities worldwide. 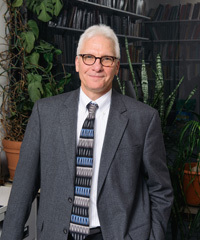 He is a Fellow of several organizations, including the American Psychological Association, the American Educational Research Association, and the Society for Experimental Social Psychology. Ryan has been bestowed an Honorary Membership in the German Psychological Society and an Honorary Doctorate from the University of Thessaly, Greece. He has been a Visiting Scientist at the Max Planck Institute, as well as a Visiting Professor at the University of Bath, UK, and the National Institute of Education, Singapore. Ryan has received James McKeen Cattell and Leverhulme fellowships, as well as a number of other grants and awards. He is a licensed psychologist and consults with many types of organizations. Ryan is currently working with various graduate students: Nicole Legate on research concerning ostracism and stigmatization; Patricia Schultz on mindfulness and health; Thuy-vy Nguyen on well-being and solitude; and Cody DeHaan on motivated decision making. He also researches the cross-cultural importance of human needs for autonomy and relatedness, the sources of within-person variability in vitality, and the characteristics and consequences of eudaimonia. He is also involved in applied motivational research in the domains of health care, education, sport, work, psychotherapy and virtual environments. Rigby, C. S., & Ryan, R. M. (2011). Glued to Games: The attractions, promise and perils of video games and virtual worlds. New York: Praeger. Ryan, R. M. (Ed. ), (2012). Oxford handbook of motivation. Oxford: Oxford University Press. Ryan, R. M., & Deci, E. L. (2011). Multiple Identies within a Single Self: A Self-Determination Theory Perspective on Internalization within Contexts and Cultures. In M. R. Leary, & J. P. Tangney (Eds. ), Handbook of Self & Identity (pp. 253-274). New York: The Guilford Press. Ryan, R. M., Curren, R. R., & Deci, E. L. (2013). What humans need: Flourishing in Aristotelian philosophy and Self-Determination Theory. In A. A. Waterman (Ed. ), The best within us: Positive psychology perspectives on eudaimonic functioning (pp. 57-75). Washington, DC: American Psychological Association.